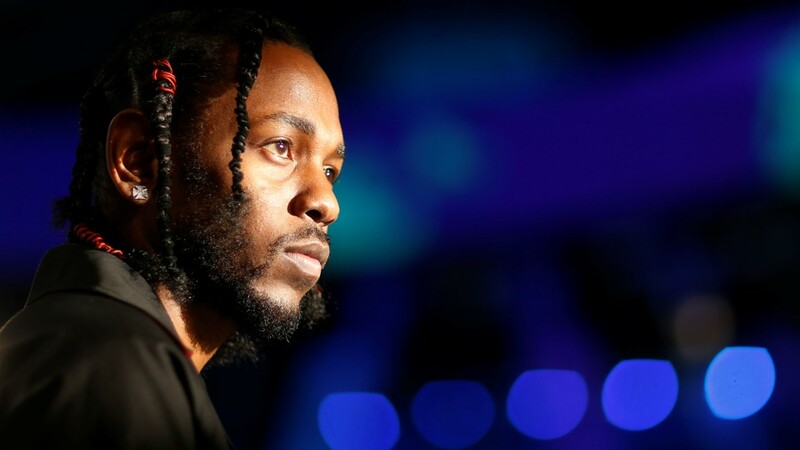 April 17, 2018 Alyssa S.
Here’s one among the many provocative questions raised by Kendrick Lamar’s Damn winning the Pulitzer Prize for Music: Is Damn the best work of rap or pop ever made? The Pulitzers, whose only stated criteria is “for distinguished musical composition by an American” in the eligible timeframe, have previously only awarded classical and jazz artists. By making an exception for Lamar, the Pulitzers could be seen as saying that he is, well, the exception. That only Lamar’s blazingly intricate 14-track reckoning with vice and Geraldo Rivera can compete with rarefied types like Caroline Shaw (winner in 2013), Wynton Marsalis (1997), or Aaron Copland (1945). That the rest of pop—not to mention the rest of hip-hop—remains of an unmentionable tier, except maybe for Bob Dylan, who won a special citation from the Pulitzers in 2008. The other day, I was reading The Very Hungry Caterpillar to my daughter. When I got to the part where the caterpillar ate through one apple, I paused, surprised by an unmistakable munching sound coming from my coffee table. The sound was actually emitted by an app called Novel Effect that uses voice-recognition technology to insert sound effects and music to books as you read them aloud—ideally, to make the experience of reading aloud more engaging for kids at home or in the classroom. Read more at the MIT Technology Review. Image courtesy of the MIT Technology Review. Which is what makes the efforts of a company called Akili — along with the University of California, San Fransisco’s Neuroscape lab — so interesting. Akili is a Boston-based tech company that has used Neuroscape’s core technology to develop a mobile game called Project: EVO. The goal is make Project: EVO so powerful, that it could potentially help treat children with ADHD — as a prescription-based video game. Read more at The Verge. Someday soon, more U.S. households will be subscribers of Amazon Prime than cable or satellite TV, according to recent estimates of Amazon’s popular shipping and entertainment service. According to estimates from Morningstar, nearly 79 million U.S. households now have an Amazon Prime membership*, up from around 66 million at the end of last year. That compares to a projected 90 million U.S. households that will pay for cable or satellite TV this year, according to S&P Global. According to these estimates, more U.S. households may have an Amazon Prime subscription than a pay TV subscription as soon as next year. The implication here is not that Amazon’s Prime Video service is more popular than TV; the main reason most people subscribe to Amazon Prime is still the fast delivery of products. But it is an indication that Prime is moving toward becoming a “no-brainer” for more than just wealthy Americans. Fresh Film Northwest is a juried survey of work by up-and-coming teen filmmakers living in Oregon, Washington, Idaho, Montana, Alaska and British Columbia, hosted by the Northwest Film Center. Now in its 41st year, the Festival recognizes individual talent, showcases model examples of how film arts can be taught in schools, and engages all of us in helping to build the Northwest regional youth media community of 13- to 19-year-olds. Each year, a jury of media professionals and community advocates select a group of films to be shown in November on the big screen at the Film Center’s Whitsell Auditorium, located inside of the Portland Art Museum. Selections and Honorable Mentions will also be presented at select tour stops in the Pacific Northwest as part of the Northwest Filmmakers’ Festival Best of Tour, and available to view online on our Vimeo channel. Most recently, films from the 2016 Best of Tour screened at the Diva Art Center (Drain, OR) and the Whidbey Island Center for the Arts (Langley, WA). The 2017 festival takes place on Saturday, November 4th from 11am to 1pm in the Whitsell Auditorium, located in the lower level of the Portland Art Museum, 1219 SW Park Ave. The event is free and open to the public. Teachers and Organizers: Would you like a Fresh Film Northwest poster to display in your classroom, school, or facility? Email our Education Programs Manager Mia Ferm (mia@nwfilm.org) with your mailing address and any questions. Teen filmmakers: If you’re a teen filmmaker residing in the Pacific Northwest and want to submit your work, visit the Fresh Film Northwest submission page. The deadline to submit is Friday, August 18th, 2017. Tencent Holdings, China’s biggest gaming and social media firm by revenue, said it will limit play time for some young users of “Honour of Kings”, responding to complaints that children were getting addicted to the popular mobile game. 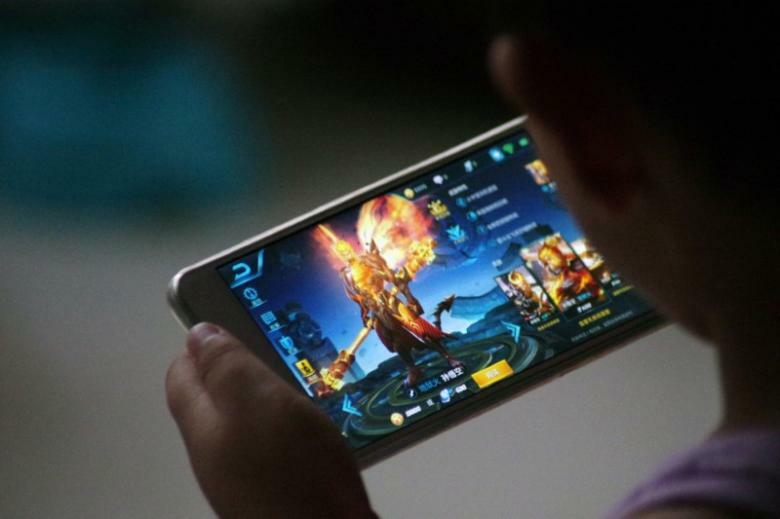 Parents and teachers have complained that children were becoming addicted to the multiplayer online battle game, which, according to the company, has more than 200 million users, mostly in China, and is the top-grossing mobile game in the world. From Tuesday, users below 12 years of age will be limited to one hour of play time each day, while those aged between 12 years and 18 years will be limited to two hours a day, Tencent said. Tencent did not say whether the limits will be imposed only in China or elsewhere too. The firm also plans to ban users under 12 years from logging in after 9 p.m. (1300 GMT) and will impose further restrictions on how much money younger users spend on the game, it added. 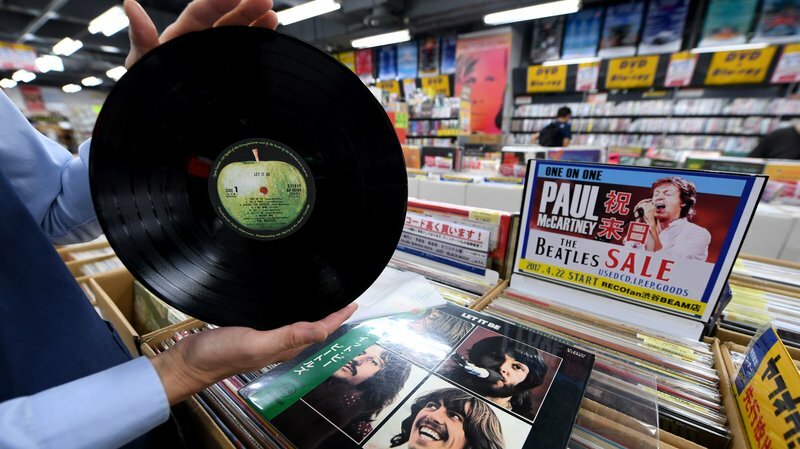 Sony Music is preparing to make its own vinyl records again in Japan, in another sign that albums are back from the brink of being obsolete. The company says it’s installing record-cutting equipment and enlisting the help of older engineers who know how to reproduce the best sound. Vinyl sales have seen a resurgence since around 2008. And while records are still a small part of the market, the fact that in 2016, “a format nearly a century old generated 3.6 percent of total global revenues is remarkable,” as NPR’s Andrew Flanagan has reported. Years of double-digit growth in record sales have left vinyl press plants in the U.S., Japan and elsewhere struggling to meet demand. Sony’s plan reportedly includes the possibility that it will press records on contract. How do you pronounce “GIF”? Some questions will be pondered for all eternity. What is the meaning of life? Where do you go when you die? 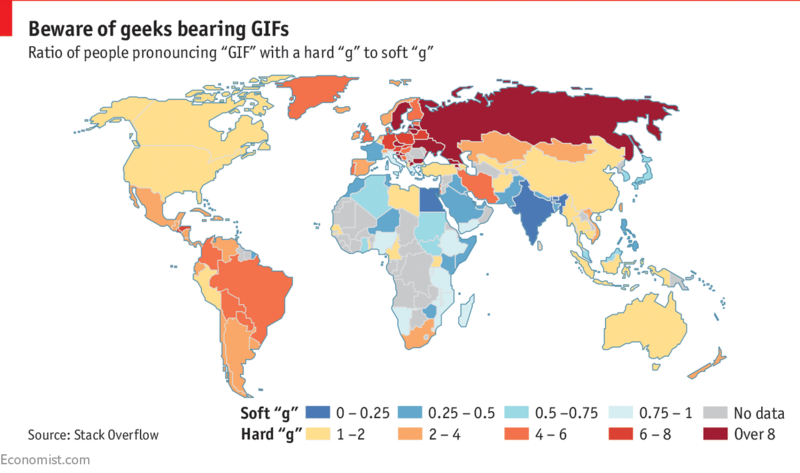 And even more puzzlingly, what is the right way to pronounce “GIF”? The Graphics Interchange Format, a file type commonly associated with web animations, is older than the world wide web itself. Debates over whether it begins with a hard “g”, as in “gift”, or a soft one, as in “giraffe”, can make discussions about religion or politics look civil by comparison. Well aware of the risk that taking a side could lead to protests, boycotts or worse, the Oxford English Dictionary and Merriam-Webster have maintained strict neutrality. They proclaim that both pronunciations are acceptable, betraying nary a hint of favouritism. With the lexicographical authorities resigned to a “descriptivist” approach, following words and pronunciations wherever the unwashed masses go, those determined to resolve the question once and for all are taking matters into their own hands. In a recent survey Stack Overflow, a forum for computer programmers, asked over 50,000 users in nearly 200 countries a battery of questions. The study began with softball inquiries, such as what respondents had studied and how long they had been coding. Only once they felt at ease and were likely to share their true sentiments, rather than providing whatever they believed was the “politically correct” answer, did the poll segue to its highly sensitive aim: the pronunciation of GIF. Read more at The Economist. Image courtesy of The Economist. Reel Grrls, the Northwest Film Forum (NWFF) and the National Film Festival for Talented Youth (NFFTY) are excited to partner with Seattle Theatre Group for the opportunity to envision the future. Join them July 13th for the Future of Film is Feminist Festival, a collective community gathering that highlights the talents of young female-identified filmmakers. To purchase tickets, visit the Seattle Theatre Group (STG) website here. Image courtesy of the festival. Facebook wants users to “lean back.” No, that’s not the sequel to Sheryl Sandberg’s book “Lean In”; it’s how people watch TV, unlike the way they scroll through the News Feed. For months, Facebook has been talking to its biggest media and publishing partners to introduce TV-worthy programming to the social network. Last week, names of new reality and scripted shows were reported in The Hollywood Reporter — the competition series “Last State Standing” and the comedy “Loosely Exactly Nicole,” late of MTV. A Tumblr post. A tweet. A Netflix deal. It’s not the normal Hollywood production pipeline, but it’s real: The people of the Internet have managed, through determination and enthusiasm, to bring a movie project into being — one written, directed by and starring black women. This is a short story, so we’ll get right to it. Here’s the Tumblr post, featuring actress Lupita N’yongo and singer Rihanna, both fashion icons in their own right, looking fabulous at a Miu Miu show in 2014. 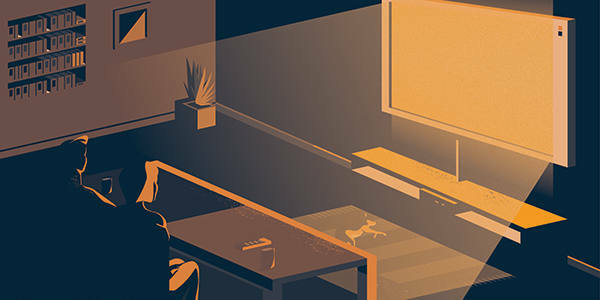 For some TV networks, the Golden Age of Television is losing its luster. MTV, A&E and WGN are all cutting back on high-end productions after failing to attract big enough audiences in an increasingly crowded landscape. Their decision to retreat from non-reality series suggests a reckoning may loom for other networks and the studios that make shows. Last year, the industry produced a record number of original scripted programs — a total of 455. John Landgraf, head of the FX network, has warned of a glut that he’s labeled “peak TV,” arguing the networks and streaming services are making more than viewers can watch. While y’all were watching the world fall apart this week, I was watching Fred Rogers build it back up. For the past few days I’ve been transfixed by the “Mister Rogers’ Neighborhood” marathon that began on Monday afternoon over on Twitch. Like watching the “Joy of Painting” with Bob Ross, zoning out to “Mister Rogers” is an exercise in escapism. After Rogers helped reset my brain I began to wonder about all the handsome, colorful sweaters he famously wore. Did Rogers have a favorite? Read more at The Awl. Mr. Moore exerted himself heroically, grappling with villains atop a moving train, chasing them down ski slopes or into outer space, his unflappable suavity accompanied by an occasional smirk or upward twitch of the eyebrow. He knew exactly how silly these endeavors were, but he was committed to them all the same. He was an ironist and a professional, and as such a pretty good role model for post-’60s preadolescents. Movies, always the realm of fantasy, are now further removed from reality than ever. Actors do their acting in spandex suits on blank stages, delivering their lines to position markers and balls on sticks. Then an army of VFX artists transports them back in time, adds dragon companions or blows up their car. Audiences love it. Of the 25 top-grossing films of the 21st century so far, 20 have been visual-effects showcases like “Avatar,” “The Avengers” and “Jurassic World.” (The other five were entirely animated, like “Frozen.”) The typical blockbuster now spends about a third of its production budget on visual effects. Every creative industry is engaged in a civil war. The creatives — whether writers, painters or musicians — want to play with new forms of expression; the capitalists prefer to go with what worked last time. But sometimes the two sides come together, on equal terms, in gloriously fertile equilibrium. We call these periods golden ages. Read more in the Financial Times. Image courtesy of the Financial Times. We never see a journalist in “Star Wars.” Not in eight movies and counting. The galaxy is otherwise rich in professions. There are bartenders, bounty hunters, geneticists, one librarian, medics, moisture farmers, musicians, senators, soldiers and a lady who sells toads out of the sewer. The character who comes closest to an act of journalism, if we’re being generous, is a two-headed alien who commentates during a podrace. His sportscast is mostly hackwork, stuff like “It’s Skywalker!” and “The crowds are going nuts!” Worse still, he’s not very impartial; at the sight of the gangster Jabba the Hutt, both of his heads gargle in apparent fealty. If there was ever a galaxy far, far away in need of a smart and independent press, you’re looking at it. “Fake news in ‘Star Wars’ is probably their number one problem,” says Ryan Britt, an editor who specializes in science fiction at the website Inverse. Britt, in his 2015 book “Luke Skywalker Can’t Read,” makes a provocative claim: Most “Star Wars” denizens, if they’re not illiterate, seem fundamentally disinterested in reading.